Disneyland Paris is undoubtedly one of the most popular attractions in Paris. 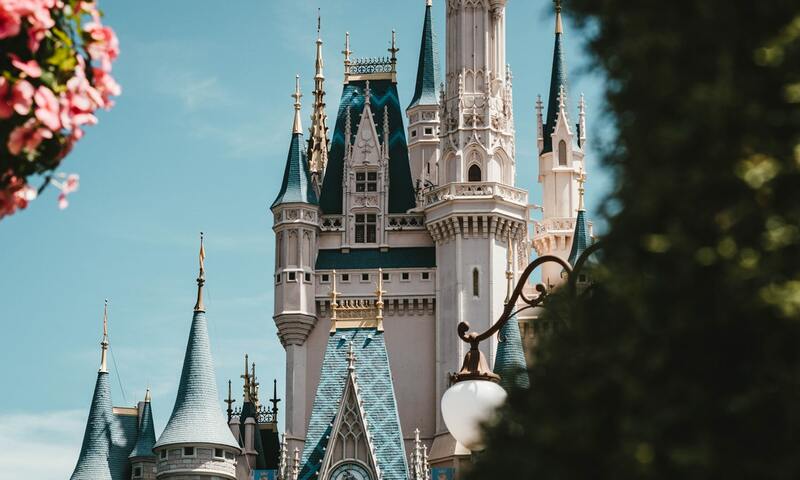 Whether you are planning to dedicate a whole trip to Disneyland or are just taking a day trip during a short break to Paris, it is important to know the best way to get to the parks. Disneyland Paris is actually located outside of Paris city in Marne-la-Vallee but it is easily accessible from Gard Du Nord train station – the main central station in Paris. 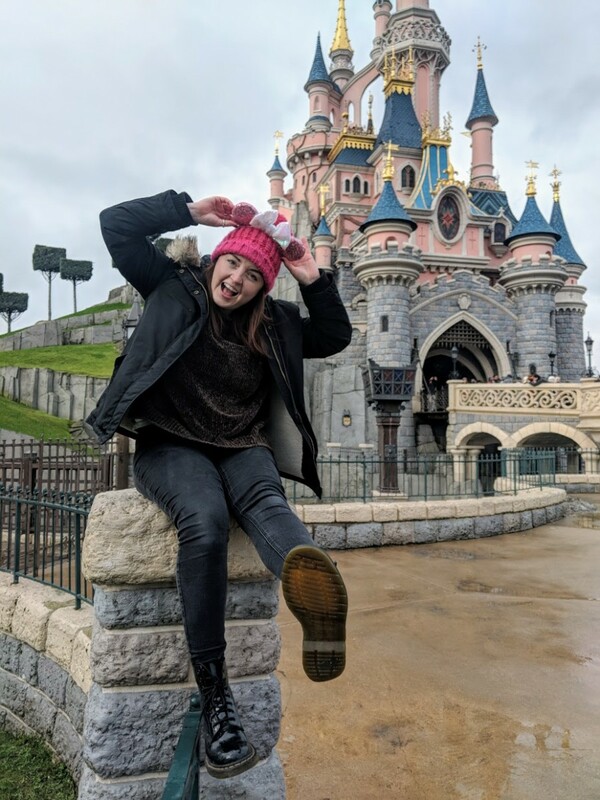 When travelling to Disneyland Paris from the UK, many people opt to buy a Eurostar straight to Disneyland Paris from London, however, this can be expensive due to the limited amount of trains which run there on a daily basis. The Eurostar does not run as frequently to Marne-la-Vallee, meaning tickets sell out quickly and often they do not arrive at convenient times. A better option is to book a Eurostar from London to Gard Du Nord, then travel from Gard Du Nord to Disneyland Paris by RER (local train). Not only is this option cheaper, but it is also more frequent. It is also the best option if you are already in Paris and taking an excursion to Disneyland Paris for the day as we did. 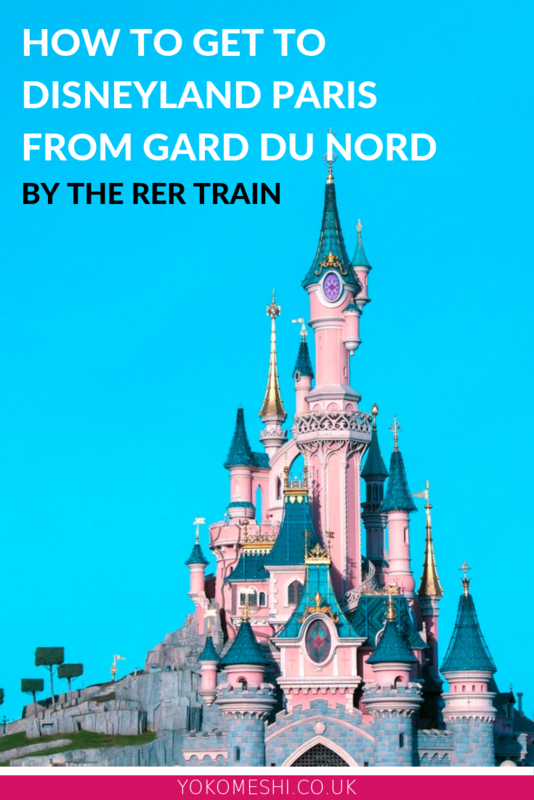 Travelling from Gard Du Nord to Disneyland via the RER is very simple and this guide will give you a step-by-step process on how to do this journey. To save time on arrival at Disneyland Paris buy your tickets in advance rather than on the gate. I recommend purchasing your tickets from Attractiontix.co.uk, tickets bought from here are ‘gate-ready’ tickets, meaning you do not need to queue for entry, all you need to do is scan yourself in at the park entrance. 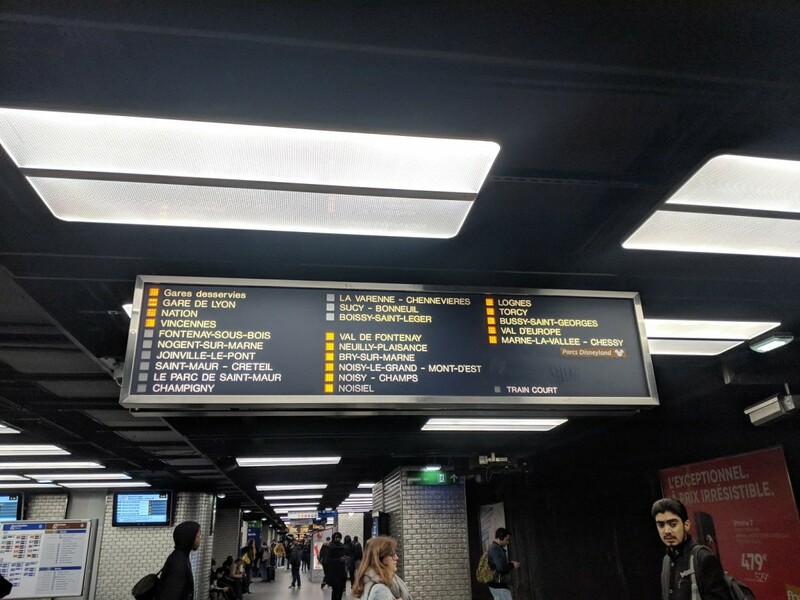 On arrival into Gard Du Nord station, you will need to make your way on to the main station concourse, in this area you will see signs which point towards the RER and Metro trains, these signs will lead you down one escalator (lifts are located just to the side of these stairs). 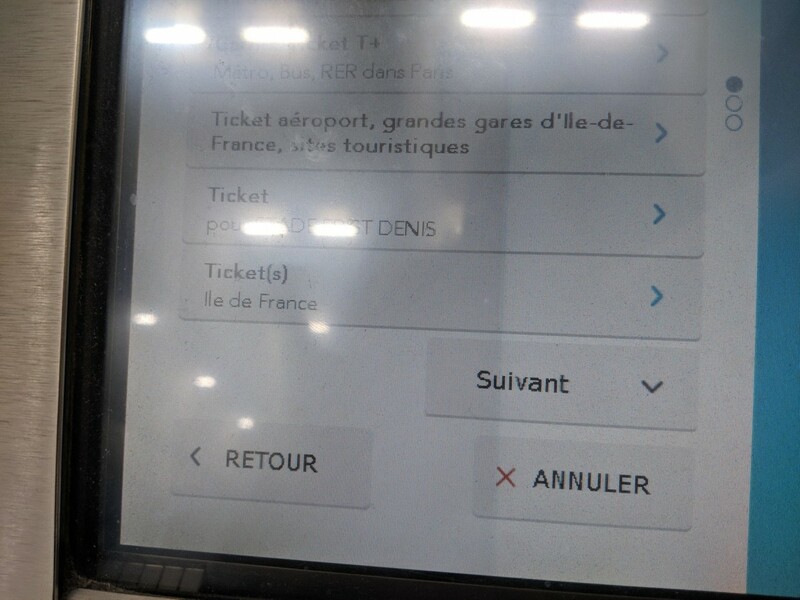 Once on the correct level, keep following the RER signs but stop when you come to the white ticket machines, the machines will clearly have RER written on them in English. Here you can purchase your ticket, select your language, then select the option to buy Tickets with lle de France written underneath. 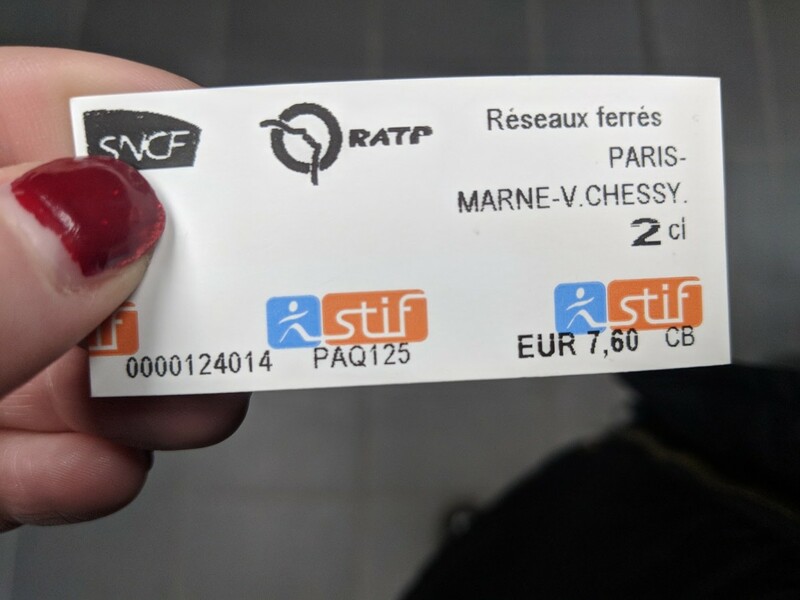 After selecting this you will be prompted to enter the name of the station you wish to travel to – type in Marne-la-Vallee – Chessy and select this ticket. The machine may state the station name as Marne-la-Chessy, this is still the correct station for Disneyland Paris. Please note the machine does not accept notes, if you wish to pay by note, or do not feel confident using the ticket machine then there are ticket offices located opposite the machines. Once you have purchased your ticket, make your way to the platform for the RER B in the direction of Robinson / Saint-Rémy-lés-Chevreuse. Take this train one stop to Chatelet-Les Halles. 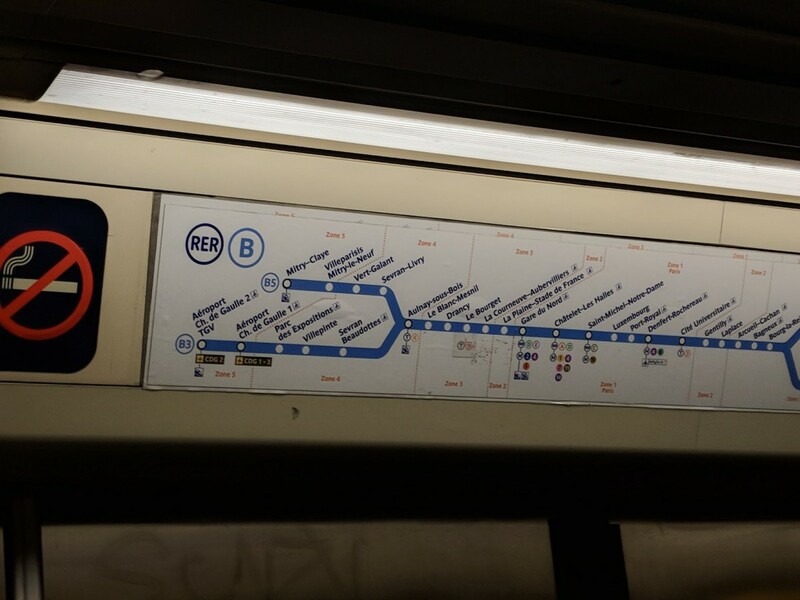 The RER B Trains have route maps above the doors on each train, the next stop will flash, this is a good way to ensure you have caught the train in the correct direction. Alight the train at Chatelet-Les Halles and cross the platform to catch the RER A. The RER A has two different final destinations Marne-La-Vallee Chessy and Boissy-Saint-Leiger, therefore it is important to board the correct train. The sign located above the train platform will display where the next arriving train will stop at, so as long as Marne-La-Vallee Chessy is lit up, it will be the correct train. Generally, there will be a Mickey Mouse symbol next to the station name as well to further help ensure you are looking at the correct stop. These trains arrive every 10-15 minutes. Once you are onboard the correct train Marne-La-Vallee Chessy is the last stop, so just sit back at relax! The journey will take roughly 30 minutes. The total journey time from Gard Du Nord to Disneyland Paris by RER will take around 40-45 minutes. After alighting the train at Marne-La-Vallee Chessy you will be a 2-minute walk away from the entrance of both Disneyland Parks as well as the Disney Village. How much does the RER from Gard Du Nord to Disneyland Paris cost? You can pay for your ticket at this machine using card or coins and a single ticket will cost €7.60 for adults and €3.80 for children (correct as of January 2019). What time is the last RER train from Disneyland? The last RER A train departs Marne-la-Vallee at 00:36 in the evening, every day of the week. 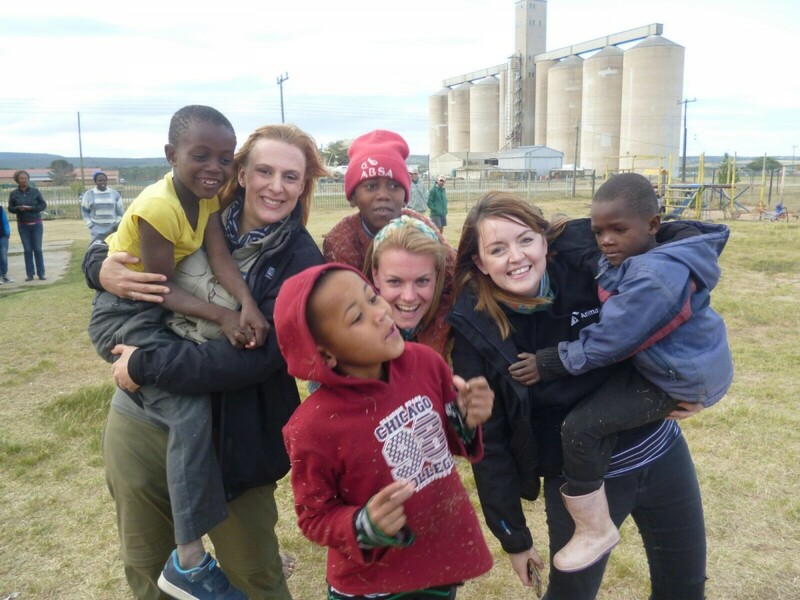 However, please do check on your day of travel in case of any unexpected changes. For your journey home, you will take the same route just the opposite way around. RER A from Marne-la-Vallee to Chatelet-Les Halles then RER B from Chatelet-Les Halles to Gard Du Nord. The first RER A departs from Chatelet-Les Halles at 5.20am, while you may not want to get the train quite that early, catching the RER from Gard Du Nord to Disneyland Paris does mean you can arrive at the park for opening time, something which is not an option when catching the Eurostar. The benefit of arriving at the park for opening means you can avoid some of the long ride queues which will build up throughout the day. What is the Gard Du Nord to Disneyland Shuttle? Disneyland provides a shuttle service from Gard Du Nord to Disneyland, the shuttle service is a bus service. This service runs once a day – departing from Gard Du Nord at 8.20am and arriving at Disneyland at roughly 10 am. There is also only one departure time back to Paris, this is at 8.30pm. I have not taken this journey myself but more information can be found via the Disneyland Paris Website, however, it does sound quite restrictive, therefore I would advise where possible to take the RER train. It is also possible to travel from Paris to Disneyland Paris by Uber, Uber is readily available across the whole of Paris. This journey will cost you roughly €60 -€70 per journey, this price will decrease and increase depending on the time of day. If you are planning on locating yourself in Paris city centre as opposed to one of the Disneyland Hotels, I recommend the 25 Hours Hotel Terminus Nord. The boutique centrally located hotel is located opposite Gard Du Nord Station, making it convenient for an early transfer to Disneyland and for when you are tired after a long day in the parks! 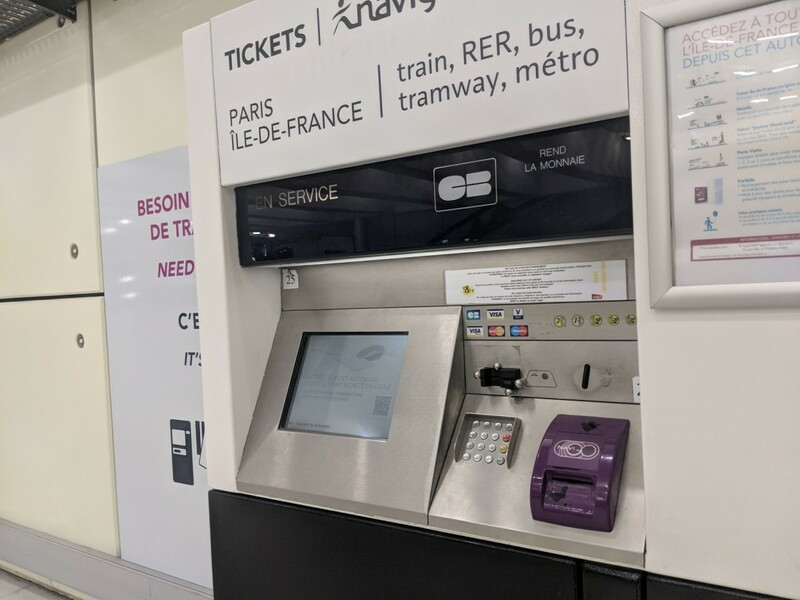 I was surprised at how simple and convenient it was to travel from Gard Du Nord to Disneyland Paris by RER and hopefully you will find it the same. 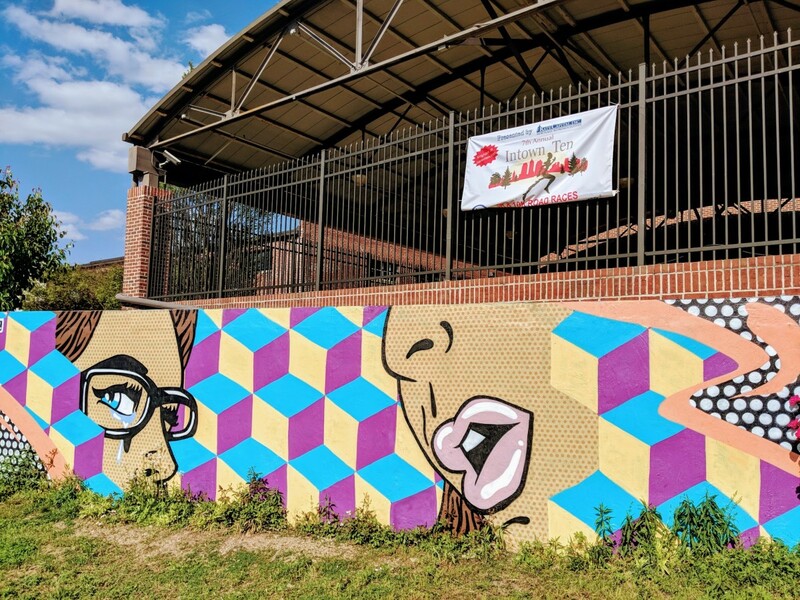 Travelling this way will save you money as opposed to travelling there directly by Eurostar and it will also give you more flexibility to arrive and leave the parks at the time you choose, as opposed to being restricted by the limited number of Marne-La-Valle Eurostar trains.